Custom Business Software can enhance efficiency and staff productivity for any business. Our team of software developers can architect & develop software for even the most complex business logic & workflow. 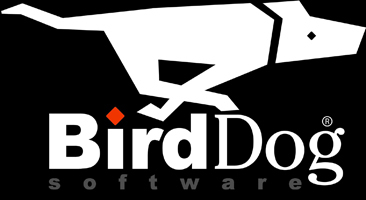 BirdDog Software has been developing Custom Software applications for our clients in Ecommerce, Manufacturing, Distribution, Health Care, and Retail for over 15 years. We specialize in Java Script / HTML 5 and Microsoft .NET based web application development. Are you unable to find a commercial software package to run your day to day operations? BirdDog will work directly with you to identify problem areas and automate the process with software solutions. Our in-house programmers specialize in writing software applications that address your specific need. Need answers to your questions or a bid for your new project? Contact us today for a free project analysis and proposal. Please call us at (888) 794-5950 or email us today.